Before I was fortunate enough to have my own kiln, I used to experiment with all kinds of fimo clay, trying to use all the recipes for faux gemstones. It was fun and inexpensive. 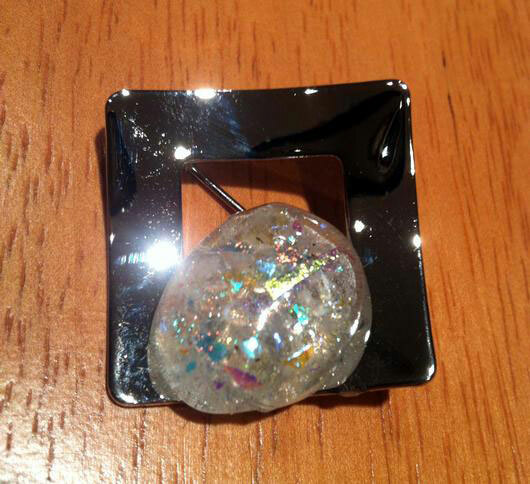 While giving a fused glass lesson the other day, I said , "Hey, lets try to make some faux opals." So, we crushed up some green and orange, clear backed, dichroic glass (from the Uroboros magic box), and mixed in a tiny bit of crushed opaque white glass. We cut two transparent oval pieces of glass and covered them with Bulllseye Glastac Firing Glue, and sprinkled on our frit. We added another layer of glue and piled up some more frit. The beauty of this glue is that you can use as much as you want. I love it for holding the frit on the edges of bowls and glass. 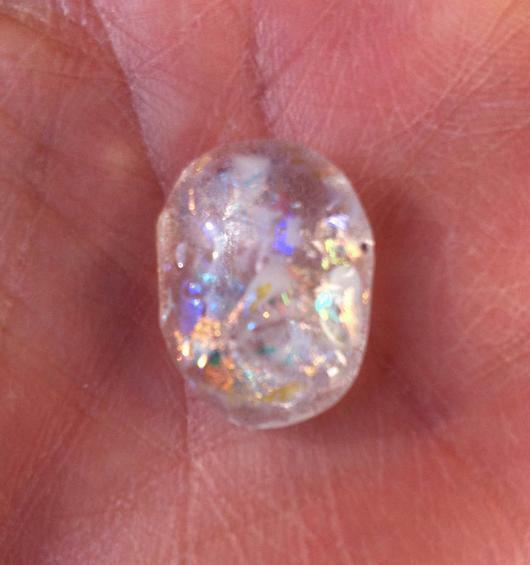 When the pieces fused they looked like opal cabochons. To make the cabochons more opaque, I used my Dremel tool, and ground the back sides of the glass. 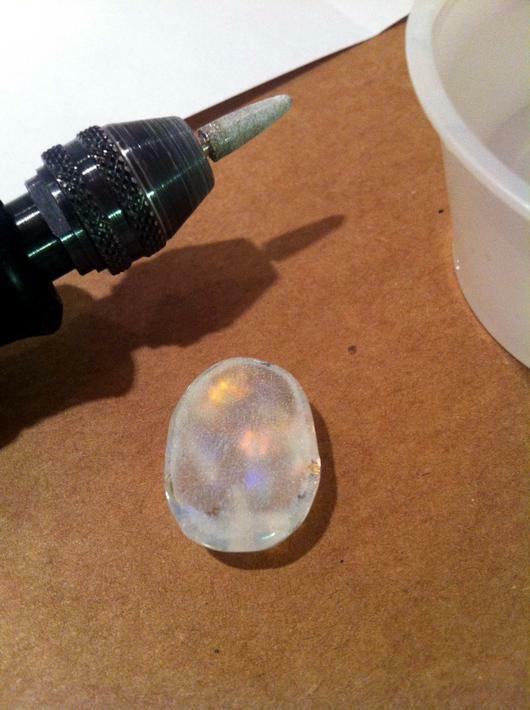 But , I found that when glue your pieces to a ring or pin blank, it kind of takes the effect away. This would be an excellent tool if you were using the cabochon in a bezel, like I saw in one of the "how to" lessons, that inspried me. 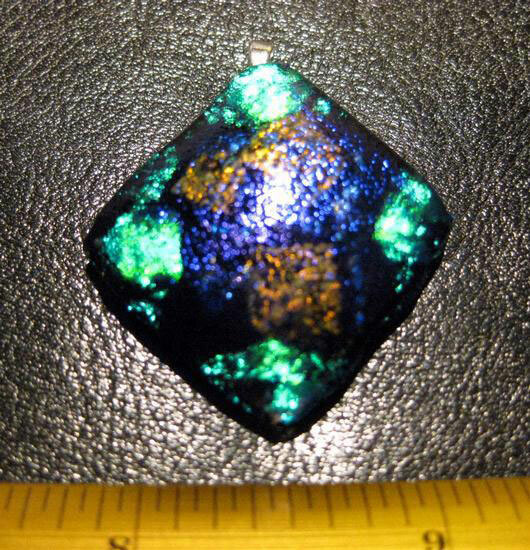 Adding an oval of dark green, like a doublet, behind the cabochon, might create an Australian opal effect. 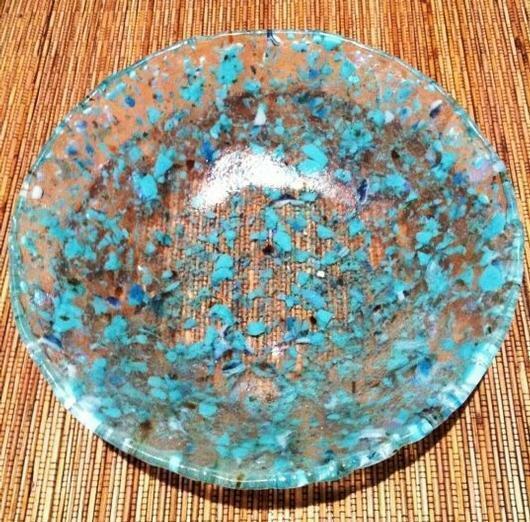 I have tried making a turquoise recipe using light blue, cascadia blue opal art glass, and a bit of transparent brown. I would love to learn more recipes to make gemstone cabochons!